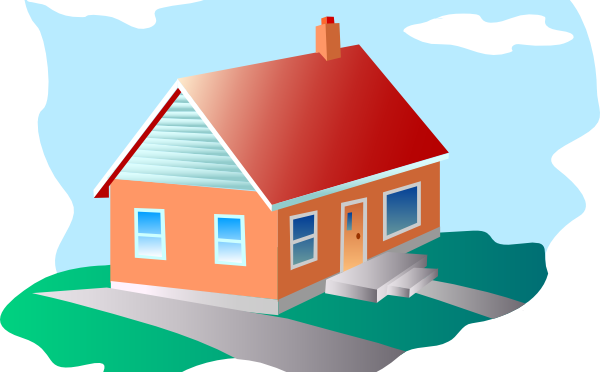 You are here: Home / Personal Finance / Why is Owning a Home a Big Deal for so many? : Owning a house is a Huge deal for so many of us, that it becomes the only thing left in our lives. Is this thought process really healthy or is it wrong? Let us find out. Home or your humble Abode or your dream home or whatever you call it; buying a Home is a BIG deal for almost all of us, and why not? Food, Clothing and Shelter are the basic necessities of life and what better way than to own your own shelter, right? Other reason is also that lot of us mistake home to be an asset, when home is actually your biggest liability. Anyway, whatever we say or do, at times buying “Own House” becomes the be all and end all of our existence. Right from KL Saigal’s Ek Bangla Bane Nyaara to Amol Palekar in Gharonda to even today when the builders and real estate agents try to sell ridiculously over priced pieces of real estate made on any available piece of land, to us on an emotional level by using words like ‘Affordable Housing’ (they describe even a 90Lac 1 BHK as affordable), ‘Dream Home’, ‘Apna Ghar’ etc to garner buyer interests even most of these are on the outskirts of the city and expect you to commute 5 hours a day to work. So what is this fixation with buying a house? Why is it so? There are a lot of reasons to it, but mainly it is how we live and how our minds are conditioned to work. As soon as you land a job, you are supposed to work your butts off and save for the down payment for 4-5 years and then after subsequent salary appraisals when your ‘loan eligibility’ increases, you are supposed to take up a loan with a big EMI to buy a mythical ‘spacious’ flat in one of our cities and only then are you really ‘settled’ for your peers and relatives. Other reason is that is still slightly logical is that why pay rent when you can pay EMI, but then this argument can be true if the difference between the rent and the actual EMI of a house is not much. However the ground reality, at least in the Metros is very different. You can stay in a 2BHK flat in decent localities for a rent of Rs. 15-18 thousand a month. However if you were to buy that same flat, the cost is around 75-85 Lac. Assuming you make a down payment of even 40% somehow, you still need to pay around 45-50 Lac through your loan and you can calculate yourself the EMI for that amount. So this argument too is baseless in most scenarios. Maybe in smaller towns or tier 2 cities it can still be achieved but even then, the difference between rent and EMI will always be large since the rents are very low compared to Metros or bigger cities. One more argument to make the Home Loan ‘affordable’ is to increase the tenure since you will always make more money tomorrow than you are doing it today. Well, let us say there are no things like recession and rising costs and job cuts in the future, but still increasing the tenure will only increase the Interest Payments, and while you may feel comfortable with the low EMI that you can ‘afford‘ today, you will be paying more than double to your bank in such a scenario. Still we are fixated with this concept. Also Read: What is your employment type? Understand the Nature of your Employment. One thing that people struggling to buy a home will understand better than most is that how people who have settled in smaller areas or smaller towns, or have ancestral properties or homes and staying there or those staying in homes that just got redeveloped, ever will, is that these same people constantly give you a hard time, every time you try to live your life even a little bit. If you plan a long vacation or buy something slightly expensive, even after saving for it for years, or celebrate some birthdays or important functions even if they are once in a year or even once in two or three years. All they keep saying is “You need to save for you house… why are you wasting your money…” as if those 25-30 thousand will make a HUGE contribution to the Lacs of rupees needed, and they forget, that you have a life beyond the “HOME BUYING” thing. It is OK if they keep changing their smartphones every 6-7 months or going to eat out on all weekends and taking off for holidays every month; that is NOT waste of money for them, why? They have bought a House. EMI on Car, Home and other loans are OK for them, so they can splurge, but not you, who has saved and spent sensibly. So is it wrong to buy a house? Well, no. Home is good to have. 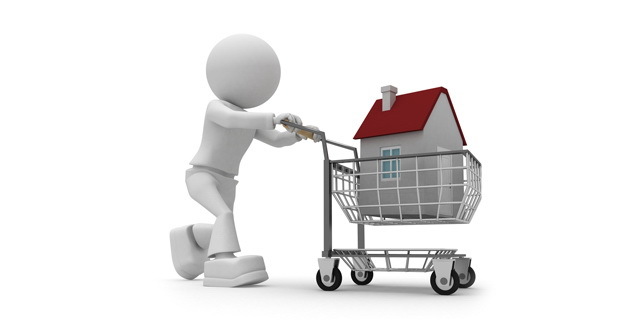 But there are lot of factors that come into play in your home buying decision. Firstly, till the time you are not ready financially and psychologically for the big step, just don’t buy it, just because others are telling you to. You know your life better than others. At the same time also don’t wait till your retirement to do so, but at a stage in your career when you feel you are comfortable financially, you can make the decision. Also it is not necessary that you need to own a house in a Big city if you are from other town, since ultimately you may at some point move back to your home town. Even if you don’t, buying a house there, even if you already own one, can be lot cheaper than in the city. The EMI burden will be less and you will be able to save more. What this will do is, it will be an investment in real estate at an actually affordable price and you can sell it off and add your savings over the years, when you are ready to buy your ‘own’ house in the city. Don’t go by what others feel about you buying your house. As long as you yourself are not ready don’t go for it. It is a huge financial commitment. However, also do not keep on postponing it till your retirement. Remember you will need at least good 15-20 years to repay your EMI, so plan for it accordingly.